Thank you for this opportunity to represent you and the Rural Students of Texas! What an honor to represent the Texas Association of Rural Schools. I have always admired Bill Grusendorf for organizing such a strong organization and what he was able to accomplish for Rural Schools during his tenure. Any school district that receives the small school adjustment, and now the 300 square mile penalty phase out, has Bill Grusendorf to thank. He was instrumental in these and many other accomplishments. Mr. Grusendorf accomplished this for our Rural Districts, now we need TARS to defend these accomplishments and find more ways to benefit our students. I have been around long enough to see the change that has been made since TARS was first organized and where we are today in promoting our Rural School Districts. The largest change of course is in the State Legislature. As the population continues to gravitate toward the urban populations, and the number of Rural Legislators continues to decrease, the obstacles grow more challenging. We must keep our message out front and preach about the wonderful accomplishments our students in Rural Schools achieve. As one traverses the halls of the State Capitol, the need for good advocacy for our districts is readily apparent. I look forward to working on your behalf with Leigh Ann Glaze as part of TARS. We also look forward to growing TARS to better meet your needs and represent your interests. Please know that we will work on behalf of all rural schools as we find ways to benefit our schools moving through the legislative sessions. Texas Association of Rural Schools (TARS) President, Robert Dillard of Littlefield ISD, would like to announce the hiring of Mr. Michael Lee as Executive Director for the organization. Mr. Lee will be assisted by Leigh Ann Glaze, retired superintendent from San Saba ISD. After 27 years of service to public education, Lee retired as superintendent from Booker ISD in September, 2012. 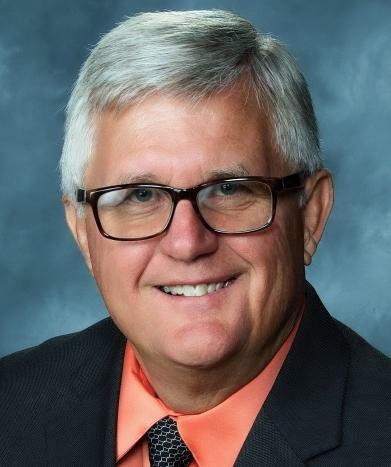 Since retirement, he has remained active in education by serving on the Board of Directors for Region 16, serving on the Board of Trustees for Booker ISD, teaching pre-calculus at Spearman High School and is currently finishing a 14-month term as interim superintendent for Higgins ISD. While at Higgins ISD, Lee has assisted the Board of Trustees in weathering the drastic reduction in funding due to a dramatic drop in property values, and the consequences of decisions made by the State Legislature. Lee is a veteran in the political arena and passionate about his advocacy for public schools. His experience includes leading the efforts to eliminate the intrusive District Effectiveness and Compliance (DEC) visits from the Texas Education Agency, has led efforts to pass a bill that eliminated audits for leavers and compensatory education, while also making the use of compensatory education dollars easier, and leading efforts to pass a bill that allows communities in sparsely-populated rural counties the ability to use sales tax dollars to support current retail, which was particularly important for the City of Booker which supported the school district he led. Lee served on the TASA Legislative Committee, TASA Commissioner’s Cabinet, TASA Executive Committee and was a director for TARS. Glaze retired as superintendent from San Saba ISD in December 2016 after 27 years of service in public education. Glaze has also been involved in the political process having testified before the Legislature through the years on several occasions, while serving on various committees and boards that include, TASA Executive Committee, Texas Mentor Superintendent, a Director for TACS, Director TASB Risk Management, and a former Director for TARS. Glaze currently serves on the Board of Directors for Education Service Center Region 15 in San Angelo. Mrs. Glaze brings a variety of experiences and skills that will support the future of TARS. Having worked as assistant superintendent and superintendent over the past 20 years and serving on state level educational committees, she has acquired a working knowledge of how to better impact schools through state-level processes. Upon learning of his selection as Executive Director for TARS, Lee stated that it will be an honor to work on the behalf of Texas Rural Schools and on behalf of Rural Communities. Having worked under the financial framework of both Chapter 41 and Chapter 42 and the associated problems with both categories of schools, Lee and Glaze will focus on finding solutions that will benefit all rural schools. "Bill Grusendorf has done an amazing job to establish and grow TARS into the excellent organization it is today. His shoes will be very hard to fill. Now it is our job to work just as hard to grow the services of TARS and to remain vigilant as we work to fully fund legislation that eliminates the 300 square mile penalty sooner, rather than later, and to also work for other solutions to help all rural school districts." Mr. Grusendorf will be honored for his service at a future date. The purpose of TARS is twofold: "To impact the state’s school finance and property tax systems so to ensure equitable distribution of educational resources and tax burdens, and to become involved both directly and indirectly in the policy-making and administrative processes of federal, state and local entities." Mr. Lee and Mrs. Glaze will work diligently to advance this purpose on behalf of the children of Rural Texas.